DuVal Cravens Ravenel of Columbia died peacefully on December 16, 2018, at home. Born on October 4, 1938, in Sewanee, Tennessee, Cravens was the son of the late Theodore DuBose “Binks” Ravenel, III, and Mary Virginia “Sis” Cravens Ravenel Paine. He graduated from Dreher High School and enrolled in the University of South Carolina, but interrupted his studies when he joined the United States Marine Corps. He returned to Columbia after completing his military service to resume college and soon was engaged to the love of his life, Sandra Jane Harmon, whom he married on June 1, 1961. Cravens earned a bachelor’s degree in history from the University of South Carolina in 1963, and returned to his alma mater for law school, graduating in 1970. 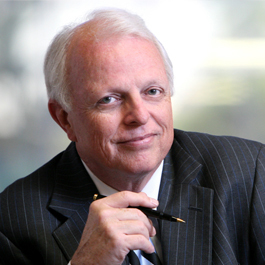 A skilled litigator for nearly fifty years, he was known for his civility, courage, respect, and integrity, as well as for his keen wit and self-deprecating sense of humor. 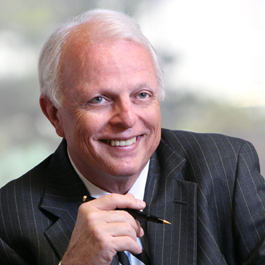 Among other accolades, he was awarded the Richland County Bar Association Matthew J. Perry, Jr. Civility Award in 2011. He retired from the firm of Baker, Ravenel & Bender in 2017. He was dedicated to this community and his church. He was a life-long member of Trinity Episcopal Cathedral, where he served in many capacities. He touched countless lives in big and small ways, and he left a legacy of love and compassion, teaching these precepts by example. To his family, he was the most loving, dedicated, supportive husband, father, and grandfather a person could be. A kid at heart with a twinkle in his eye, he enjoyed showering his family with attention. For twelve years, he could be seen the first day of school on his grandchildren’s route to Brennen Elementary dressed as a superhero, a goofy animal, or some other fictional character. He was a loyal Gamecock fan, always there on game days to cheer on the football, basketball, and baseball teams. Cravens was predeceased by his parents; his brother, Branwell Bennett Ravenel; and a brother-in-law, Peter Randolph Kapeluck. He is survived by his wife of 57 years, Sandra; two daughters, Janie Ravenel Godbold (Jack) and Virginia Cravens Ravenel, both of Columbia; a granddaughter, Ravenel Godbold Khashram (Dimitri) of Jerusalem, Israel; two grandsons, James Judson Godbold, Jr., of Charlotte, North Carolina, and Williams Cravens Godbold of Columbia; a brother, Theodore “Ted” DuBose Ravenel, IV (Chere) of Edisto Beach; a sister, Florence Fain Ravenel Kapeluck of Wake Forest, North Carolina; a brother-in-law Samuel Eugene Harmon, III (Barbara) of Columbia; many cousins, nieces, and nephews; and his loyal companions, Pumpkin and Pippa. A memorial service was held at Trinity Episcopal Cathedral on Friday, December 21, 2018. In lieu of flowers, memorials may be made to Homeless No More, 2711 Middleburg Drive, Columbia, SC 29204, or the Trinity Episcopal Cathedral Homeless and Hungry Breakfast Ministry, 1100 Sumter Street, Columbia, SC 29201.